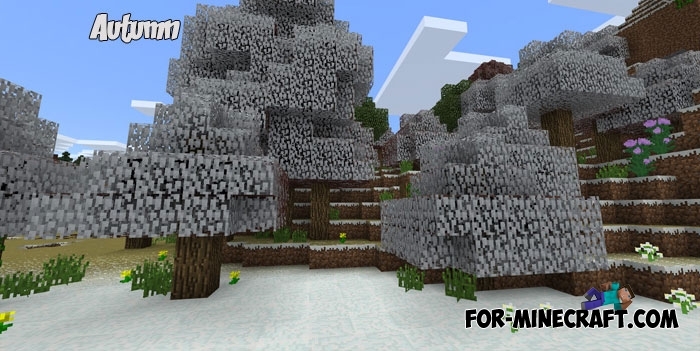 There are different biomes in Minecraft PE where you can see summer, winter, autumn or spring. Snow and foliage in the trees is covered with snow in some places, in the summer biomes you will see bright green plants and a lot of sun. This is very cool when players can move around the world and see a completely different climate, but if you live in the same biome, e.g. summer then you never see the snow there. The seasons addon solves this disadvantage. Every third of an hour you will see a change of season if you look at the surrounding nature. Trees and grass will perfectly show you how autumn is replaced in winter. Seasons go one after the other in the right order, but the change is quite noticeable. Those players who spend time in the house and only a few times go out the door, will not notice this transition. Do you want to not only see the beautiful seasons but also hear them? 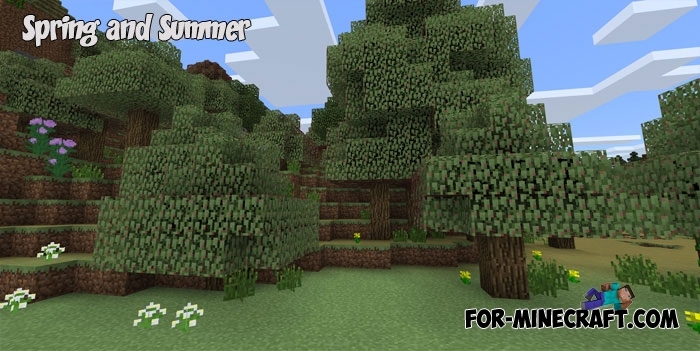 The Ambient Sounds mod adds new realistic nature sounds to MCPE for all biomes, try it. How to install the Seasons addon? 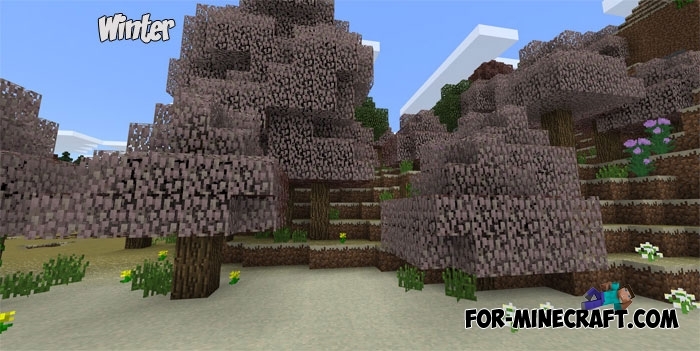 Ambient Sounds for Minecraft PEAmbient Sounds is the best modification if you like to listen to the sounds of nature!